Content marketing makes up a big portion of the #DMWF agenda; that’s because it remains a crucial component in your digital marketing strategy. Not only vital for building brand voice and building relationships between brand and audience – not to mention the benefits of SEO – content marketing is a tangible driver of sales, whether the results are always obvious or not. In fact, 82% of consumers claim to have made a purchase as a result of content marketing, while over 50% were likely to visit a company’s website or go on to research products or services. But an effective strategy comes down to more than just the occasional blog post, and as consumption habits evolve among audiences, so must the approach itself. 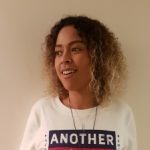 Ahead of her #DMWF Europe session ‘Beyond Page Views: An Effective Content Strategy’, we caught up with Booking.com’s content strategist Sade Laja. Hi Sade, we’re very lucky to have you on the speaker lineup at #DMWF in Amsterdam this year! Could we start with an intro to yourself and your experience in digital marketing? Sade Laja: Thank you, I’m really excited to be part of this year’s conference. My background is actually in journalism – I used to be a reporter for the Financial Times and the Guardian. As with most great things in life, it was by accident that I fell into marketing after being asked to kickstart the digital marketing function for a large government organisation in London. Some time in agency-land followed, working with brands such as Philips on thought leadership programmes. I think having these different perspectives has helped give me a well rounded view on content marketing, which I’ll eternally be grateful for. I never thought I’d leave journalism, and it’s almost come full circle for me, now being Editor of Booking.com’s industry publication Click. SL: Ha, if it was just that my life would be a lot simpler! It is more than that for sure. We’re living in a world where customers, whether that’s on the B2B or B2C side, are bombarded with a deluge of information – more so than ever before with mobile dominance. So the challenge is how do you create content that really engages your audience and in a way that builds trust, so they want to keep coming back to you? Making sure your content is relevant and then using the right channels to get your message out is crucial. The rule should always be quality over quantity. This means not being on 10 social media platforms when in actual fact only two are relevant to your audience, or pumping out 10 pieces of content when you can get more traction from three by really focusing on customers’ needs. How has the role and importance of a content strategy evolved in the last, say, five years? SL: I think the role of a content strategy has really come into its own. Even in the last five years companies’ attitudes generally towards content’s ability to impact revenue, and also perception, continues to shift in a positive way. I see more and more companies willing to invest in this area and taking the time and care to map out what its goals should be. But equally, marketeers are also getting better at being able to tell the story of how what they do impacts the wider business objectives – this is something that is so important and I think often overlooked. When I hear big brands talking about their editorial strategy and genuinely investing in longer-term projects, like content hubs or publications that really provide value for their customers, it makes me smile because it really wasn’t the norm previously. Good content marketing takes time and that’s the truth of the matter. I would say this, but every company worth its weight in gold should have at least one content expert in their marketing team, who solely looks at this stream of marketing. SL: Indeed and it’s something I hear a lot across the industry still. “But how many page views did that article get?” No metric in isolation gives a full picture of performance and it can be misleading. In all honesty, if you wanted to get page views you could spend a load of cash on advertising and achieve whatever your page view goal is. But here’s the thing, can you be certain that you’ve hit the right audience? Can you be sure you’ve engaged that audience enough for them to want to stay with you? Here’s what I really want to know, I want to know about pageviews sure, but I also want to know about sessions and users; how many people read or looked at more than one piece of content; then I want to know what they did after they engaged with that content, as well as how long they spent on our website. You put all that together, then you start to get a clearer picture. It’s understandable that quite a lot of brands are intimidated by content marketing; it’s resource-heavy, requiring skilled writers, and it’s not always so obvious where the return is. What would your advice be to a brand sitting on the fence? SL: It’s true, it does require a level of investment and patience too. But I would say take the time and care to invest. It’s an opportunity for you to showcase your expertise as a company, while also providing value to customers. In today’s environment of information overload, short-termism isn’t an option. 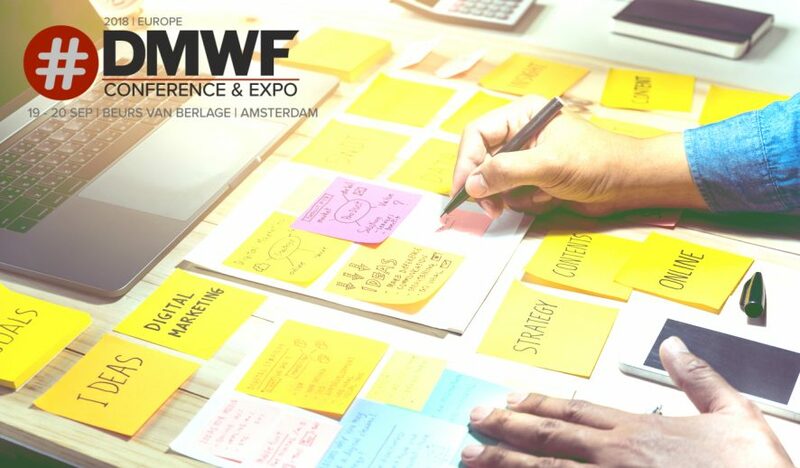 Finally Sade, what are you looking forward to most from #DMWF, whether it’s particular sessions, meeting people, or just being in the city of Amsterdam?! SL: Well I’m a Londoner now living in Amsterdam, so I’m always happy to be here! I’m looking forward to a great lineup and getting to meet delegates. It’s going to be an insightful couple of days for us all.